Arup Group has announced chief operating officer Alan Belfield will be its next chairman. Dr Belfield will take over as chairman from 1 April, succeeding Gregory Hodkinson, who completes his five-year term – the maximum tenure for an Arup chairman – on 31 March. He will oversee a global business with a turnover in excess of £1.6bn across advisory, planning, engineering, design and management services in the cities, energy, transport and water markets. Dr Belfield said: ‘It is a huge honour to be appointed the next chairman of Arup. I have worked in the firm for over 25 years, so I know what an amazingly talented group of people we have. 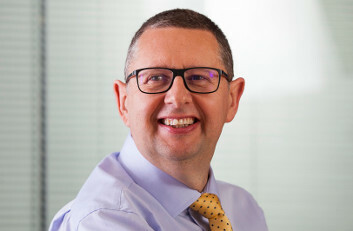 The firm said Dr Belfield, who previously led its operations across the UK, Middle East and Africa, brings ‘an unwavering commitment to realise its ambition to shape a better world', adding that he is ‘passionate’ about its aim of ‘social usefulness’ and is a strong advocate of its diversity and inclusion strategy. He is a Fellow of the Royal Academy of Engineering and a member of the Government’s Professional and Business Services Council. Deputy chairman Tristram Carfrae has been reappointed for a further three-year term.